In this little book, J.W. 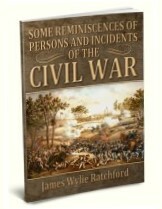 Ratchford recounts several of his experiences in the Confederate service, beginning with his enlistment at the beginning of the war in the so-called "Bethel Regiment" made up of faculty and cadets of the North Carolina Military Institute, and led by Colonel (afterwards Lieutenant-General) D.H. Hill. 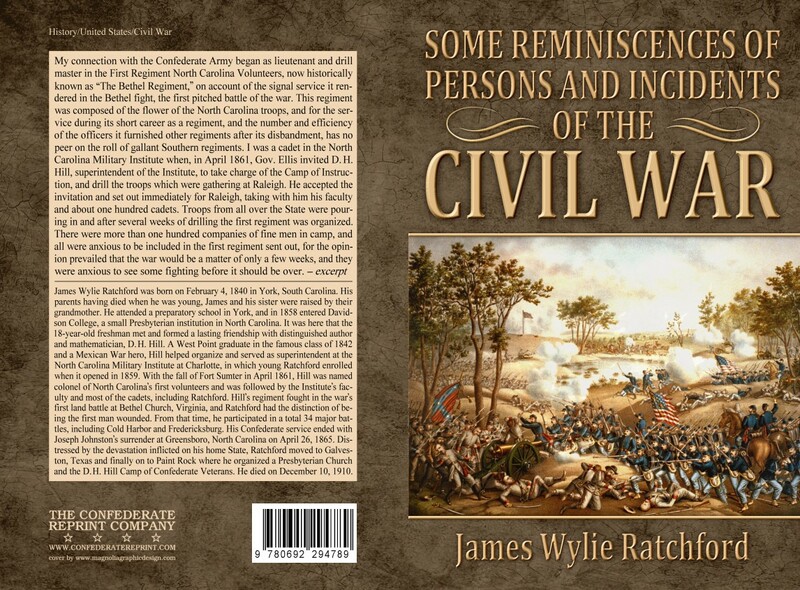 This organization of young men fought in the first land battle of the war at Bethel Church, Virginia, and Ratchford's claim to shedding the first Southern blood was never contradicted. The stories he tells of Robert E. Lee, Thomas J. "Stonewall" Jackson, John Bell Hood, and his personal hero and friend, D.H. Hill are the fond memories of one who knew these great men well. Also included as an appendix is an address delivered by Hill in 1885 before the Virginia Division of the Association of the Army of Northern Virginia on "The Confederate Soldier in the Ranks."